After using FF3 for a while, it's time to give a review. It's not really fair starting with the worst feature in the new Firefox, but I'm not the one who named it the awesome bar, so I don't feel too bad. This is the only new feature that actually HINDERS my use of the internet. I have a few different early extensions installed to try and revert it back to usefulness, but alas, it's still broken. Instead of the old, type what you want to get what you want, now the procedure is much more arcane. Firefox tries to guess which sites you would like to visit by looking in your history, favorites and so on. If I am typing in the address bar, I am usually typing an address, rather than fumbling around trying to find a site I have been to. If I wanted to open one of my favorites, I would ... use my favorites! If I'm looking for a site I visited last week, I would search through my history. I'll use a visit to Firefox.com as an example of the new process. in FF2 if I wanted to go to firefox.com, I would type firef in the address bar, and by that time, I would be able to pick firefox.com off of the drop down list by pushing the down arrow once or twice and then pushing enter. 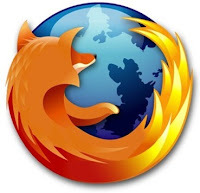 Now, however, when I type in firefox, I get every website that has firefox anywhere in it's address, title or even a keyword I added to one of my favorites. I have to either, type the entire address out, or search though a lengthy list in order to reach my destination. I am just waiting for the perfect extension that will fix my complaints. I was very excited about adding tagging to firefox, but it was fairly poorly implemented, so .... more waiting for the bugs to be worked out. I have a complex bookmark sorting system involving 200 folders, sub folders and sub-sub folders. Firefox doesn't give you a way to know what tags you have already used. In huge multi-user systems, letting each user tag items and then reaping the combined efforts of the masses is a great idea. But, the individual needs a concrete way (or ways!) to stay consistent and organized. After all, that's the point of having bookmarks in the first place - finding them again. There were quite a few bugs involving duplicate tags, blank tags and so on. There is no way to tag a bookmark when you add it through the menu, nor can you add tags when you right click a bookmark in the bookmark menu. That said, I can happily ignore the tags until they fix them, unlike the awesomebar, which broke a feature I use(ed) regularly. I don't care all that much for the default XP or linux themes, and winstripe, the theme I was using on FF2 (since I didn't like its default theme either) isn't going to be updated to FF3. I've been using Qute, but it's a bit too bubbly and soft for me. Nope, still leaky. It might even be worse now. A few minutes ago, FF3 was using 300,000 K .. after a restart, it's using 137,000. I believe that FF2 only used about 40,000 while running. Yes! There are a few nice things about the new version. Animated PNGs! I haven't tried any out yet, but as a web developer, this is a step in the right direction. FF3 seems more stable than 2, less crashes and firefoxen running after you close them. Most extensions are being ported over to FF3, so I won't have to leave much behind.